The Grinberg Gallery represents the Exhibition of the modern Ukrainian photography “Ukraine: Expropriation”. The exposition includes works of five authors, who are Boris (Bob) Mikhailov, Roman Pyatkovka, Igor Chursin, Sasha Kurmaz, Denis Kravetz, and works of two art-groups, “L∞k” (Yulia Polunina, Olga Tkachenko, Lana Yankovskaya, Svetlana Morozova, Nickolay Kozhemyako, Igor Belsky) and “Boba-group” (Yulia Drozdek and Vasilisa Nezabarom). Both recognized experts and representatives of the rising generation are there, united by the fact that their creative works are shining examples of the modern Ukrainian photography, which strenuously announces itself in the artistic space of the Post-Soviet world. The represented projects are based on borrowing, as the photographers use reproductions and originals of real works of other authors, often unknown, in their creative activities. “Compulsory acquisition and conversion are useful artistic tricks, though disputable in some way,” says the Exhibition Curator Vasilisa Nezabarom. 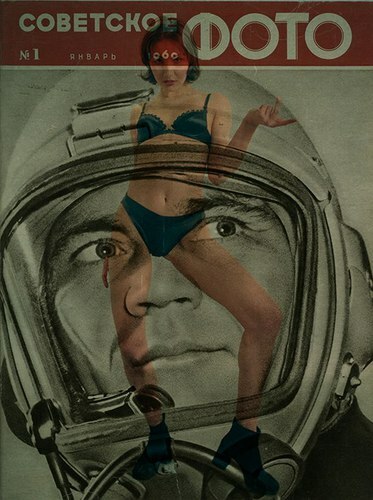 “Ukrainian photographers use the borrowed materials explicitly, challenging the thesis on plagiarism.” The creative appropriation allows authors to keep a direct conversation with their predecessors and contemporaries, to throw ideologies and world views together and thereby ask sometimes embarrassing questions about the Past and the Present. Borrowing becomes a method of looking for sense and its actualization in the modern world.